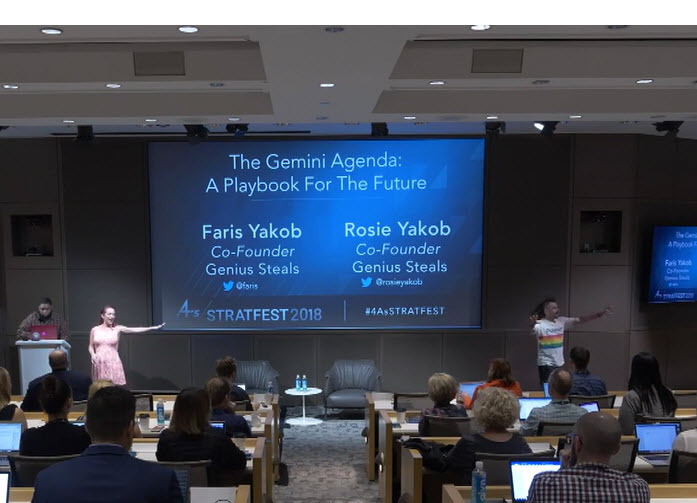 If you want to see a nice presentation on contemporary guardrails for strategy and brand planning (they are two different things, says the presentation), please click up Faris and Rosie Yakob’s video from this year’s 4A’s Stratfest, entitled the Gemini Agenda. There’s a lot to like here. One key point they make is binary is bad. Their argument? There is soulfulness and smarts in the grays laying between bland and white. Hard to disagree. But…the premise of What’s The Idea?, the premise of brand strategy as an organizing principle for product, experience and messaging, runs contrary. That is, product modifications or developments, product experiences and the messaging supporting all are either on strategy or off. On or off is a binary orthodoxy. Can a binary approach to brand strategy kill work? Yes. Must it? Not necessarily. Humans have antibodies for a reason. Brands can live and learn from off-piste activities. But they certainly shouldn’t be habit-forming. For my money and my clients’ money, brand strategy is binary. On or off. It’s freeing. It inspires value-building creativity. And it is the fastest way to build brands. Brand strategy is a formulary…much as Coke is a formulary. Previous articleEducating A Market. Tread lightly.